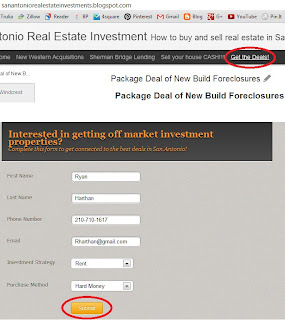 San Antonio Real Estate Investment: Get Access to Deals! Call me old fashioned, but I like to meet every potential buyer before we start doing business. Many times I encounter investors who claim not to have the time to spend fifteen minutes with me to figure out how my business operates. I can tell you without a doubt that if I was considering making a $100,000 cash purchase from someone I would certainly want to meet the guy first. There are a lot of people running around town attempting to sell "deals" out of their home/office or the back of their truck and I like people to know that I do this professionally and am truly devoted to the business of making real estate investors money. Gain from my experience. I have been investing in San Antonio with my family since I could read and write. I never had anyone to help me along the way and consequently had to learn everything the hard way. If there is anything teach you it is what not to do while investing. It's far more profitable to learn from someone else's mistakes than your own. Strategy - You know where you want to end up. Let me shed some light on how I've seen the hundreds of investors that have been through my door take the first step, or the next step, or how people have made their first million. 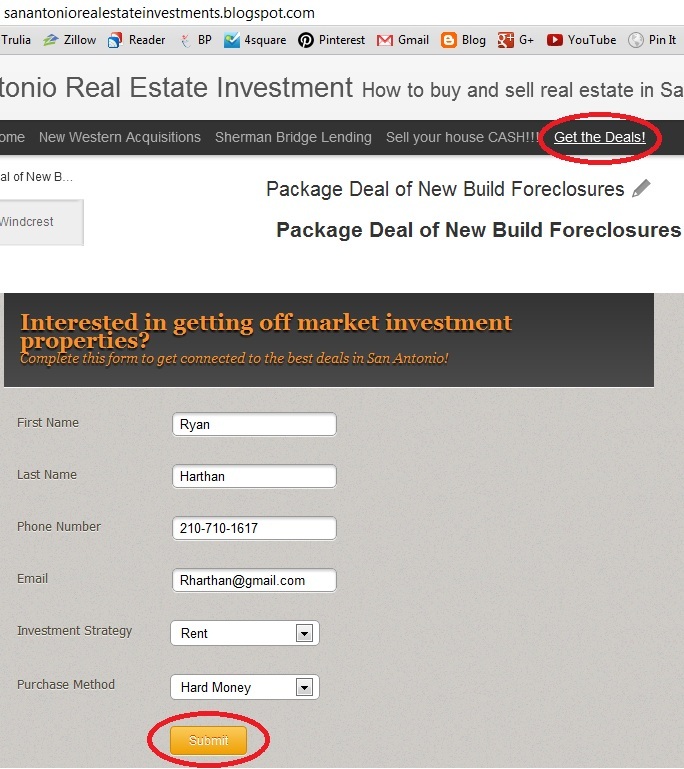 I have my finger on the pulse of real estate investing in San Antonio day in and day out. Help me help you! - If I have clients looking for deals in an area I thought previously unprofitable I will most certainly reanalyze my data and start putting out properties that match your needs! Make more money - There could be a chance that I have seen a way to make money that you may not have discovered yet. I like to take a persons goals and work backwards on how to achieve them. Building a road map from the finish line to the start line can sometime bring some unexpected conclusions. Free - I don't charge anything for my time. I can tell you the same and more as any of the real estate education classes and I don't charge you a dime. On top of that, I have a product for you to look at and analyze after that! Call me anytime, bounce any questions you have off me. If I don't have the answer handy, I'll get it for you. Thank you for the great article I did enjoyed reading it, I will be sure to bookmark your blog and definitely will come back from again .